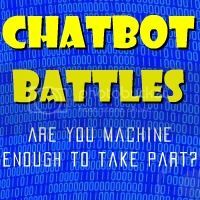 Visit some of my chatbot friends. If you're having trouble, or don't know how to begin, type the word "MENU." And yes... spelling counts. Want to learn about UFOs? Click on the Flying Saucer.